We will go on an adventure..
We took a break from office life, bought a car, set our apartment for rent and will take a couple of months to travel! We are both stubborn and ambitious and therefore decided we want to make a overlanding trip in South America, in our own car! But we didn’t own a car… yet. Quickly we decided that we wanted to do this in a Land Rover Defender. We both adore this iconic machine and thought that should be perfect for our trip. We do realize there are not a lot of Land Rovers in South America (stubborn..) so hope our White Monster will not break down as much as they say they do. But hey, all part of the adventure! 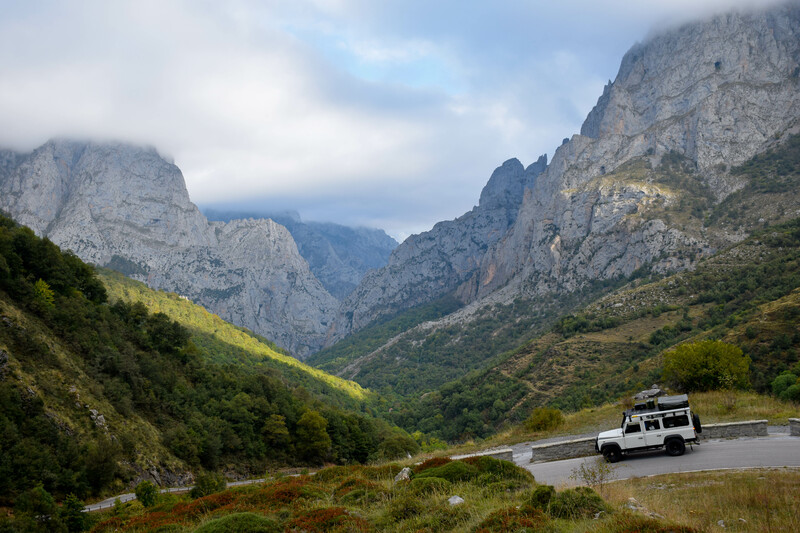 We decided to go on a quick shakedown trip to Spain in October to make sure we get to know the Defender (named Miles), as well as our rooftop tent that will be our home for some months. If all goes well, Miles the Defender will embark on his journey to South America in November. Just in time for summer in the Southern hemisphere!